All the western home arrangements have their own distinguished status among all other contemporary settings. Our western homes are very closely associated with the wood work and other wooden objects as we are very much inspired with the nature ridden elements. 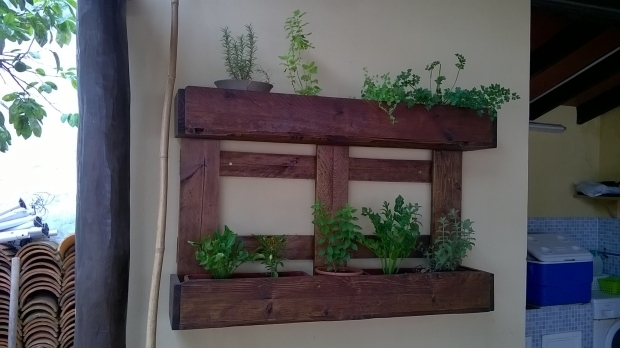 So again we have brought you a pallet wood wall planter for pots. This wall planter is basically a carrier of several planter pots. So you can also call it a vertical garden which is frequently seen now days in our house holds. People prefer them instead of maintaining a whole wide green landscape. 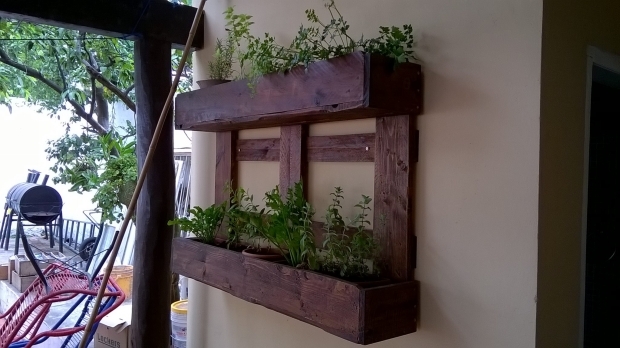 A pallet wall planter is just like bringing home the essence and soul of greenery in our surroundings. Our life widely depends on plants and trees, so greenery is indirectly a symbol of life for sure. So we feel pleasure and a true bliss to witness the greenery in our surroundings. Not only this but it also plays a complimentary role of decoration on our room walls or wherever we install them. We are going to design this wall planter is such a manner that it could carry maximum number of planter pots. And it would also be designed artistically so that it escalates the aesthetic beauty of your room interior. 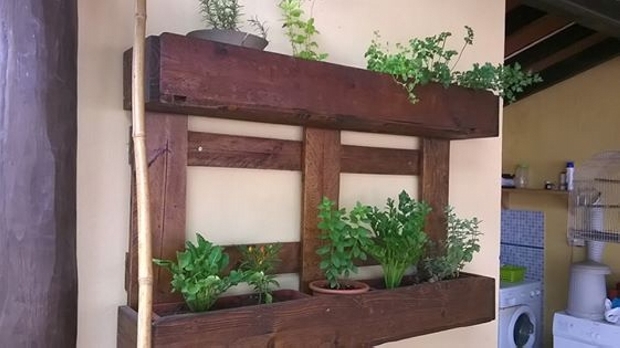 There are two outward bent shelves of wooden pallet in this wall planter which are just more than enough to carry a reasonable number of planter pots inside the room. The amount which can keep your room look quite greenery oriented. Some raw and deteriorated pieces of pallet planks are used in these projects but then they are stained very well to overcome all the apparent flaws of the wall planter. This pallet wall planter could be used in any countryside or even urban living, and a pretty splendid piece of decoration as well.